Rhodesia | THIS IS MY VOICE. THESE ARE MY THOUGHTS. THIS IS MY BLOG. THIS IS MY VOICE. THESE ARE MY THOUGHTS. THIS IS MY BLOG. If perchance you read my last post, a poetic effort, you would have understood that I was writing on the reality of being in place far removed from that where I grew up: that ‘other place’ of both heart and of ancestral importance, principally because it is where my parents both lived and died. All the same it is a contemplation on the present as much as a reflection on the past. There was a period of my life in ‘that other place’ that was particularly hard to bear and I am aware that it still permeates my current existence. Living meaningfully in the present necessitates that we put past events and experiences into some sort of philosophical framework that allows us to cope with what was difficult and draw upon those things which gave us happiness and meaning, the foundations upon which our life here and now has been constructed. In my case a large part of my life, my entire childhood and early adult life in fact, was lived in ‘that other place’ on the African continent. Home was the town of Harare, known as Salisbury to my parents and grandparents generations, and the geographic territory was Zimbabwe. Many seaside holidays were spent in South Africa, our southerly neighbour, and later academic studies were also conducted there. I have spent much time reading other people’s accounts of my homeland, writing about my own experiences, and trying to construct my own meaningful philosophical framework. 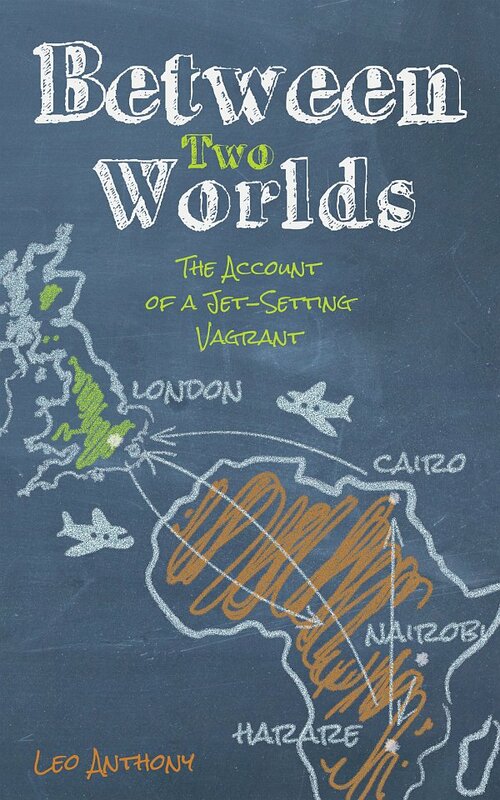 I self-published a book earlier last year on the topic of being a ‘Jet-Setting Vagrant’ which was met with very little comment from anyone really. This was probably a result of the fact that it was a very open-ended memoir – more of a diary really, interspersed with anecdotes, philosophising and periods of retrospection. What I’ve hardly mentioned to anyone but a select few is that there was actually an earlier effort at self-publication which I never fulfilled. This was a memoir of my life in Africa. As you’d expect it is a real mix of nostalgia and childhood memories, both happy and bitter-sweet, the conflicts and challenges of adolescence etc, all set within the context of the society and family I grew up in. I think the truth is that some of it is a bit too raw for public the public domain which is why I drew back from publication. However, it’s a shame that it has all been archived on my computer for several years now. There were a number of positive experiences to share and having talked to many others who lived in that society at one point or another, some contemporaries, others not, there is a desire amongst many of them to share those experiences with the world at large. So in a number of subsequent posts (exact number unknown) I am going to try and see what I can dig up. By the way the heading to this post and a stark reminder of the importance of celebrating one’s life and heritage, from wherever it’s drawn, came to me a few days back. I was buying some fruit and veg from an Asian grocer’s not far from me in Charminster, a particularly multi-ethnic stretch of shops, cafes and restaurants, when I was approached by a curious little man who had evidently fallen on hard times. He was asking for 50p in change which I initially refused on the basis that I thought he was simply gathering enough for a pint at the pub directly across the road. I said as much. Anyway, his accent was curious enough for me to ask where he hailed from. “Rhodesia” was his reply i.e. the former name for Zimbabwe. Once we realised we were from the same neck of the woods we were able to have a more balanced conversation. What came across to me was how bitter he still was towards England and the English, despite having fled what was then wartime Rhodesia in 1976. “They don’t understand me” he said. How sad. “Why did he leave?” I asked him, assuming he had served in the army at some point and was fleeing the horrors of that particular conflict. No, it turned out he had pre-empted his call-up and fled first to South Africa and then to the UK. He talked variously of how Ian Smith and the Rhodesian cause had been petrayed by Vorster (the South African president of the time) and his determination not to live under a country ruled by the ‘terrorist’ Robert Mugabe. I know that many of his generation share those sentiments. I remained quiet on the issue although I have an uncertain stance somewhere in the grey reaches of the middle-ground. He spoke of the harsh conditions of conscripts to the Rhodesian forces as related to him through others like his mother, a hospital matron. I know this first hand through my Uncle Paul who served in the Rhodesian army at that time and who now lives a secluded life in Plymouth, Devon. So maybe he was right to get out when he did? I can’t say. He would have had to wrestle with own conscience over many years I suppose. It was just a little sad to see a man still caught up in the past the way he was. A little glimmer of some self-esteem though: relating how he was bullied by an Afrikaaner senior at Guineafowl (a private school of some standing in Rhodesia) he proclaimed “I had the last laugh! I stood up to him”. (Something about not doing a punishment prescribed him.) “I’m Irish and I’m proud of it.” He could build on that I suppose. This was only ten minutes worth of conversation and only at the end of it did we introduce ourselves. His name was William. Before we parted I asked him again if he wouldn’t mind telling me why he needed the money. “Horses” he said with a wry smile, avoiding my eye. Chance meeting or something more significant I can’t say except that I don’t want my story and that of my people to be lost in the sands of time. After all it’s my belief that we really only tell the tales and glories of our particular tribe in order to try and reach out to a common identity. It’s one that’s in a constant state of evolution and that’s why we need to keep the conversation going. So I’ve written a memoir and not, I hasten to add, an autobiography! As a friend of mine remarked, “isn’t it a bit early for that sort of thing?” Well quite. All the same it has been quite an interesting couple of years, primarily in England, but punctuated by two trips back to Africa. This is the main narrative time-frame, although I talk of events further back where they tie into present experience. What inspired me to write this memoir? Several different strands of thought really. Firstly, I am predisposed towards writing anecdotes and commentary, but that hardly makes me stand out now does it?! Still, it wasn’t a huge extrapolation to start joining the blogs, commentary and photographic record into a coherent whole. I would like to call myself a travel writer. Perhaps not in the conventional understanding of the title, but all the same someone who qualifies by virtue of having traveled beyond their sphere of familiarity. But the essence of it is that I have had a great desire to seek an understanding of the world at large, more for my peace of mind than any other reason. Like many first time writers I imagine, I suffered from a premature dose of enthusiasm and imagined that to get published was just a matter of finding the right publisher and selling my story to them. With any luck they would take charge of the nitty-gritty bits: proof-reading and editorial stuff, typesetting, marketing etc. I ran the usual gamut of publishers recommended by the Artists and Writers Yearbook, emailing sample chapters, synopses and cover-letters in the main but also printing off a few copies and physically mailing them to literary agents of a more traditional inclination. As the weeks and months dragged out I was to come to realise two things. Firstly, traditional publishing pf the sort I have just outlined is difficult. Secondly, memoirs are not half as enticing to the majority of publishers as other forms of literature, fiction being the biggest seller and crime fiction in particular. Actually, a perusal of the shelves of one of the established bookstores – Waterstones or WH Smith – will suggest that life-stories do sell. The only prerequisite is that one has to be famous in some regard: a man or woman of considerable sporting prowess or a pop-star being two obvious ones. I am neither. Thus I did not find myself a publisher but I did discover the world of self-publishing. The accessibility of the platforms for self-publishing online through the likes of Lulu.com and Amazon’s KDP have transformed the market by making publishing accessible to everyone. Although this might result in a lowering of editorial standards at least it gives people like me a channel to print and distribute our tales. The print-on-demand facility offered by online publishers like Lulu is a boon, but digital publishing is probably the biggest innovation. Still, one can’t do everything from writing to publishing completely independently and without outside review. I was lucky to have had the editorial input of Judy Brown, a competent proof-reader, who accepted my ridiculously low project tender through the site Freelancer.co.uk. I wasn’t in a position to offer any more than I offered but she did a thorough job all the same. To any aspiring author out there I say this: make it your first and foremost objective to find a good and honest proof-reader to assess your manuscript once you have finished writing it. He or she will do it the world of good not just through correcting grammar and punctuation, but by suggesting where you could say things more concisely, explore a particular idea further or simply to suggest what might be a bias on your part that needs to be reappraised. This is a personal, insightful and sometimes entertaining recollection of the author’s adventures and nomadic life in the UK as well as two periods in that other world of his upbringing, Southern Africa. Born in Britain to Rhodesian parents at the end of that country’s tumultuous civil war he was raised in a fairly peaceful and prosperous Zimbabwe. The narrative journey encompasses not only the present but the past. He does his best to make an objective assessment of modern Britain whilst elaborating on just what Zimbabwe (and South Africa) means to him, and the conflicting senses of identity and purpose in the homeland of his heart of which he is no longer a citizen. In his quest for answers on his travels through the UK he surveys the cultural and political landscape of England today, revisits his birthplace in Ealing, and traverses the southwest of England in search of work. Circumstance draws him to his estranged uncle’s abode in the coastal city of Plymouth where the past and present collide unexpectedly. I will endeavour to publish my introduction and a sample chapter or two on this blog to give the potential reader a taste of the book. I hasten to add that the book is most likely to appeal to those of a similar background to me: raised in Zimbabwe, although not necessarily white, and living or having lived in the UK and/or South Africa for a period of time. Furthermore, if I have to be honest I would say that the overall tone of the book is reflective rather than jocular or entertaining. I wouldn’t recommend you reading it if you don’t have an interest in history or delving into the human predicament. If this sounds too deep and introspective, fear not. Most of the book is about anecdotal experience and there is some humour too… I think!